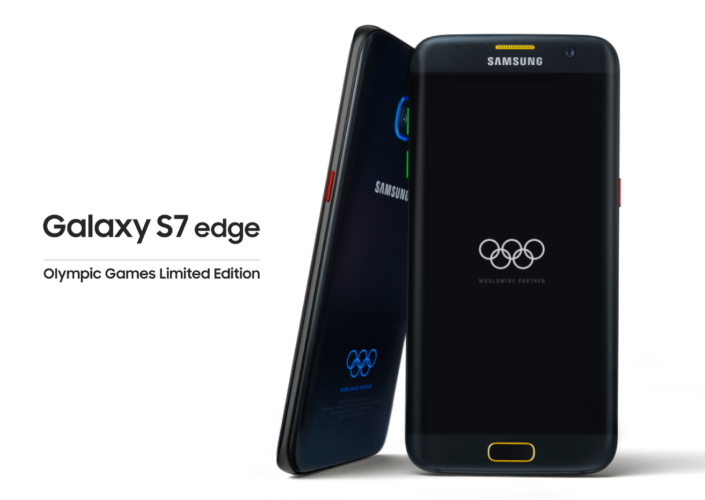 With the Olympic Games firing off very soon, another custom made smartphone from Samsung receives a pre-order price and its being called the Galaxy S7 edge Olympic Edition. Similar to the Galaxy S7 edge Injustice Edition, this smartphone will also be coming with a customized user interface that is similar to the feel of the Olympic games, and there’s also a newly tuned theme that is catered to the upcoming competition. According to Sammobile, Samsung has stated that only 2016 units like this are going to be made. 2016 does seem like an odd number, but we forgot that since the games are going to take place this year, Samsung has decided to limit the number of units according to the year in which the Olympics are going to be held. The pre-order price of the Galaxy S7 edge Olympic Edition is an expensive €879, which brings us to a grand total of $971, and yes its far more expensive than an iPhone 6s and an iPhone 6s Plus. The device is going to go on sale in the following regions on July 18 and will be shipped off to the buyer in 1-2 business days. There is nothing changed about the hardware of Galaxy S7 edge Olympic Edition, although we do not know whether or not it will feature an Exynos 8890, or a Snapdragon 820 SoC. Given that Samsung has put a lot of effort in making a custom smartphone, we figure that it is going to feature its own chipset as well. There is a 3,000mAh battery, along with 4GB of LPPDR4 RAM. The screen size will remain at 5.1 inches and will possess a resolution of 1440p. Exynos 8890 is more powerful compared to Snapdragon 820 and is also more efficient, but its Mali GPU is inferior to the Snapdragon 820’s Adreno 530 GPU.